Innovative foster care for the win with Innovation Grants! We can’t get ready for the next round of Innovation Grants without giving big congratulations to the grantees from last round, can we? Of course not! So, please join us in congratulating the 116 Innovation Grant recipients from April 2018! 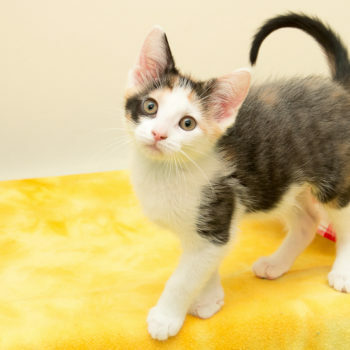 One of our favorites came from Placer SPCA in Roseville, CA. They created a “Kitten Day Care” where fosters can bring their kittens to their center in the morning and pick them up in the evening. Others were Coastal Humane Society in Brunswick, ME, and Tyson’s Chance Animal Foundation in Shelbyville, KY. They’re both creating field trip programs for fosters and volunteers to take dogs out off campus! Below is the complete list of recipients from the April 2018 Innovation Grant cycle. And, in case you’re wondering, the next round of Innovation Grants is July 30 – August 6, 2018! To receive updates about future Innovation Grant cycles, be sure to sign up for the Maddie Network. Kentucky Humane Society KY Fast-Forward Fostering! Contra Costa Humane Society CA Local Lives Matter – Saving Animals in Contra Costa County!